Yoga is a group of physical, mental, and spiritual practices or disciplines which originated in ancient India. The word yoga itself means “union”: of the individual consciousness or soul with the Universal Consciousness or Spirit. Though many people think of yoga only as physical exercises — the asanas or postures that have gained widespread popularity in recent decades — these are actually only the most superficial aspect of this profound science of unfolding the infinite potentials of the human mind and soul. Yoga cultivates health and wellbeing (physical, emotional, mental and social) through the regular practice of a range of many different techniques, including postures and movement, breathe awareness and breathing exercises, relaxation and concentration, self-inquiry and meditation. Yogini (spelled also jogan), is the feminine Sanskrit word of the masculine yogi, while the term “yogin” is used in neutral, masculine or feminine sense. More than a gender label for all things yogi, yogini represents both a female master practitioner of yoga and a formal term of respect for female Hindu or Buddhist spiritual teachers in India, Nepal and Tibet. 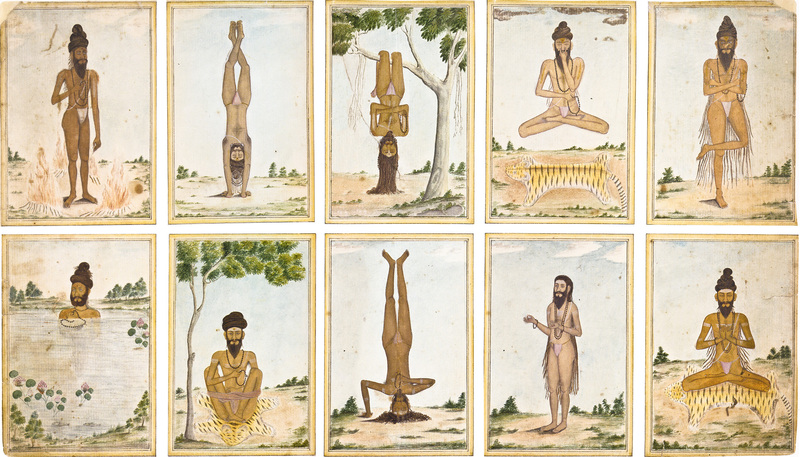 The origins of yoga are a matter of debate. There is no consensus on its chronology or specific origin other than that yoga developed in ancient India. Suggested origins are the Indus Valley Civilization (3300–1900 BCE) and pre-Vedic Eastern states of India, the Vedic period (1500–500 BCE), and the śramaṇa movement. The chronology of earliest texts describing yoga-practices is unclear, varyingly credited to Hindu Upanishads. The Yoga Sutras of Patanjali date from the first half of the 1st millennium CE, but only gained prominence in the West in the 20th century. Hatha yoga texts emerged around the 11th century with origins in tantra. Yoga may have pre-Vedic elements. Some state yoga originated in the Indus Valley Civilization. Marshall, Eliade and other scholars suggest that the Pashupati seal discovered in Indus Valley Civilization sites depict figures in positions resembling a common yoga or meditation pose. This interpretation is considered speculative and uncertain by more recent analysis of Srinivasan and may be a case of projecting “later practices into archeological findings”.